Diversity makes commercial real estate stronger. 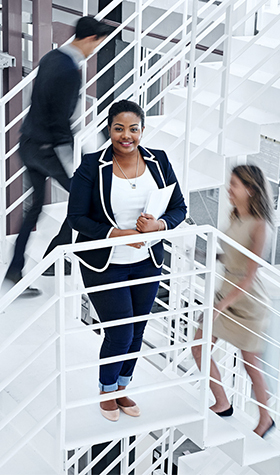 The NAIOP and Prologis Inclusion in CRE Scholarship will be awarded to up to 10 individuals, helping to prepare a pipeline of women and minority leaders for careers in commercial real estate. Women or other underrepresented minorities in the CRE profession are invited to apply for this program that will increase your industry knowledge and connect you with leaders across North America. The chance to earn a NAIOP Certificate of Advanced Study in Commercial Real Estate Development at no cost (up to a $4,130 value). Complimentary registration and a travel stipend to I.CON West 2019: The Industrial Conference, NAIOP's premier industrial event June 6-7, 2019, in Long Beach, California. Scholarship recipients will be recognized during the event. Minimum 5 years' experience and current employment in the real estate industry, including development, architecture, planning, government, transportation, engineering, finance, sustainability and nonprofits. Priority given to NAIOP members.